A very classy establishment. 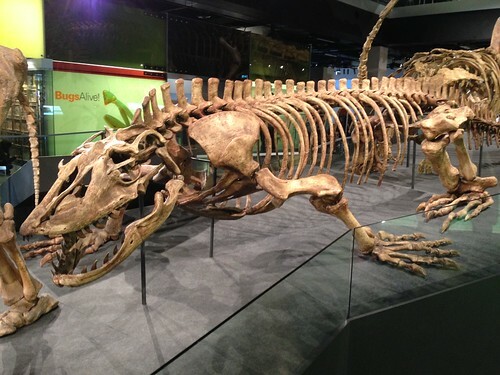 The dinosaur exhibition is massive and well featured, and the rest of the exhibitions are outstanding also. We looked at the dinosaurs, a general exhibition on nature and ancient history, plenty about the natural history of Victoria, and another exhibition on the colonial and near history of Melbourne and Victoria also. There’s enough there to spend almost the entire day. We took a tram ride up there in the mid morning, and didn’t take the tram back to our room until the late afternoon. It’s also nice to spend some time in the Carlton Gardens nearby, and the Royal Exhibition Building is spectacular, inside and out (if you can get inside).